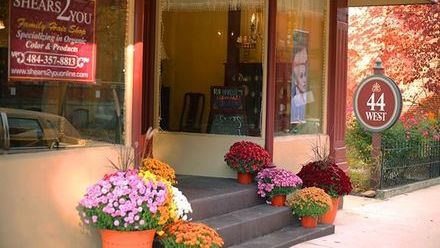 Our shops have a boutique vibe, and we cater to everyone in the family... men, women and children, with personalized attention. We use all natural, non-toxic and organic products for your, hair, skin, and makeup. We are an ethical and cruelty-free salon. We cater to Proms and Bridal Parties, specializing in formal hairstyles, facials, ReJuve makeovers and spray tanning. We also offer 'Lil Bella Children's Parties for the little ones complete with a story-book character and non-toxic tattoo and face painting. Our salons utilize a range of ammonia free hair color, care and styling products designed to work harmoniously with one another and within the optimum pH levels of your hair to give you beautiful, healthy hair color. What sets us apart from other salons is that our products use a unique green science that enables us to do everything any other professional brands can do, but more safely, naturally, and ethically without damaging your hair. Our salon concept is different from conventional hair salons because we combine our expertise and knowledge to provide a totally organic hair experience. We only use hair products that protect, nourish and soothe the hair without harsh industrial chemicals like sodium lauryl sulfate. Consequently they are ammonia free, non-toxic, and there are no fumes. Coming to Shears2You is a treat. When you walk in the atmosphere feels like an upscale boutique. The staff is genuine, informative, and truly cares about you and the healthier services and products we provide. Take routes 78/22 West into Allentown area. Take routes 476 N (PA turnpike, Northeast extension). Get off at exit 74. Jim Thorpe exit. Take 209 South (for approximately 6 miles) into Jim Thorpe. Make left at first light in town onto Broadway. The Inn will be immediately on your right. 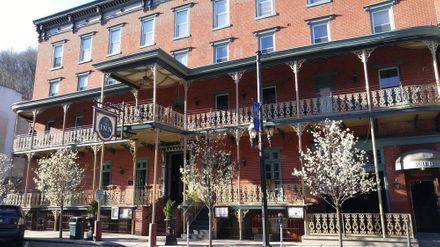 We are also located several blocks on your right and past the Mauch Chunk Theatre to the Inn's Broadway House on the lower level. There is street parking and limited access to the garage.